The attorneys of Wesson & Wesson are dedicated to helping clients navigate complex legal dilemmas; with over three decades of combined experience and a no-stone-unturned mentality, Wesson & Wesson fights for you. Alabama attorneys Jonathan S. Wesson and Jacquelyn H. Wesson have extensive experience in providing a wide range of legal services. 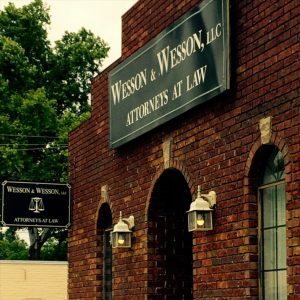 At the law firm of Wesson & Wesson, clients receive personalized attention to their needs and vigorous advocacy on their behalf. Established in 1999, the Warrior, Alabama based law firm has continually served the surrounding community with excellent legal representation. Clients receive personalized, comprehensive attention to their needs. © Copyright Wesson and Wesson, LLC. 2016. All Rights Reserved.